Today we are going to look at some amazing car dashboards - if, like me, you enjoy being surrounded by beautiful design wherever possible, then car dashboards (considering how much time we spend in our cars) certainly need to be comfortable and nice to look at. However, some dashboards transcend being simply "visually pleasant" and enter the rarified category of "objects of desire" usually reserved only for masterpieces of modern art. Modern dashboards are significantly more than just arrangements of knobs and dials around a steering wheel. 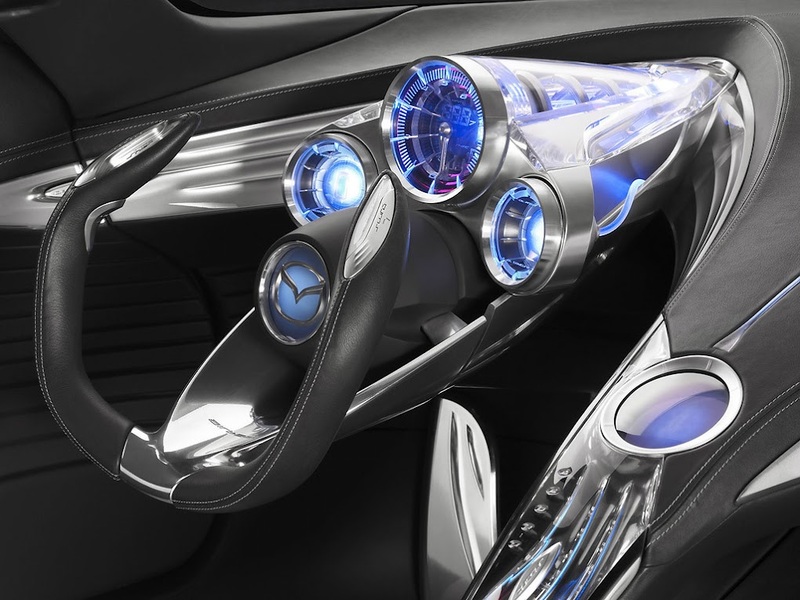 At their best, new concept dashboards feel more like clouds of futuristic worlds, enveloping the driver and lifting him into a stratosphere of high style and impeccable taste. Granted, some of the recent concept dashboards are so wildly bizarre that it's hard to imagine yourself "easing into" such an environment, much less simply concentrating on driving. Other dashboards seem to be designed only to "buck the trend" and come up with something radical and shocking that rival companies have not tried yet. (Fresh concepts are expected to appear every year at different auto shows, making automotive design a highly dynamic and competitive field). And yet, there are plenty of fantastic dashboards to be found in modern concept cars to inspire and excite the most demanding of drivers.